Eventually I, too, came to feel that in painting there was still more to be done, that there was meaningful, and possibly visually arresting, territory yet to be explored. What remained, I felt, was a certain exploration of mark-making itself. Mark-making freed of all its referentiality to the material world, to history, to story-telling, to materialistic pretension and dysfunction. The added bonus, for me, was that this also placed such painting against the materialism buried deep within the culture around me. 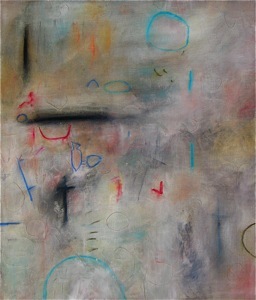 Painting that stood against materialism in both radical and subtle ways.